Departement of the Alpes de Haute Provence - Pop. : 400 inh. From Digne via the RN 85, then via the D907 (15km). Nestled in a verdant spot (a vast cultivated plain), Bras d'Asse is located on a branch of the river Asse. 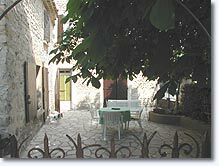 It's a typical peaceful one-street Provençal village, with its central bar and pétanque pitch, its little church shaded by plane trees, and its detached houses surrounded by flower-filled gardens. The ruins overlooking the village are a little more out of the ordinary. This was in fact the original village, and is still flanked by broken down towers and ramparts. 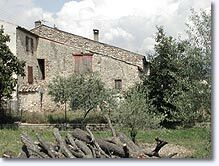 It is said the village was destroyed on the orders of Louis XII, because the local baron had sided with the Huguenots in the religious wars which devastated Provence. 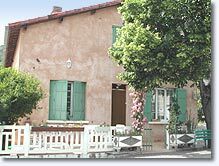 The subsequent exodus from the old village is described by the Provençal writer Marie Borelly in her novel "le dernier feu" adapted for television by Jean Dasque. Don't leave Bras d'Asse without tasting the mead or the local nougat, or without watching the pétanque players shouting to one another with their inimitable accent, and of course you can't leave without taking some refreshment on the local café's terrace! Ruins of the old village. In the spring, theatre activities. La Bégude Blanche (1km), St Julien d'Asse (3km), Mézel (5 km), Estoublon (5 km).